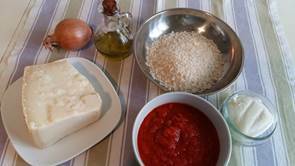 Do you know how to make a traditional Italian oven-baked risotto? 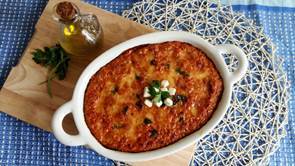 This recipe concentrates the incredible Mediterranean flavours and scents and it’s a good source of energy. Moreover, it’s a great way to save-the-dinner when your fridge is completely empty and the perfect lunch-box for a healthy and energetic meal… your colleagues will envy you so much! The important thing when you cook simple dishes is to use ingredients of the highest quality. In this case, you can use our Country Basil Tomato Sauce, made with freshly-picked tomatoes and a hint of basil. A product that contains all the flavour of Apulia and its gastronomic traditions. Made using quality ingredients, zero km raw materials, prepared with no additives or preservatives. 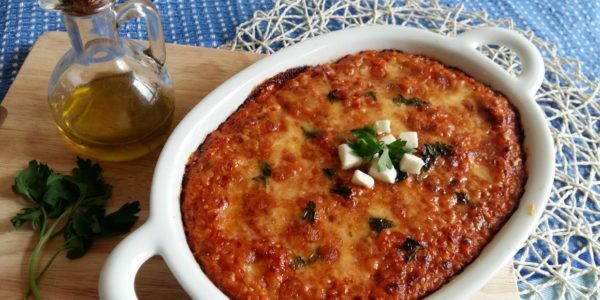 A delicious tomato sauce made only with onion, extra virgin olive oil, basil and salt. 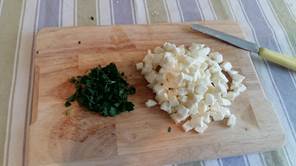 Chop the parsley leaves by hand and dice the mozzarella in 0.5cm cubes. Place the cubes in a strainer and let the serum of the cheese to drain slowly, for around one hour. In the meanwhile, prepare the tomato sauce. 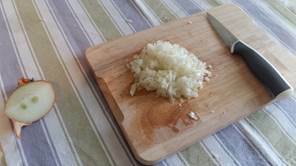 If you are making your own tomato sauce, warm up a little bit of Extra Virgin Olive Oil “Il Vero” in a pot and fry the onion on a low heat for 5 minutes, until soft. Pour the tomato sauce into the pot and add 100cl of water. Adjust of salt and let it cook for 40 minutes. 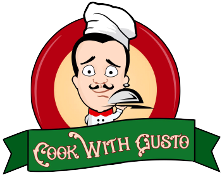 Have a look from time to time and add further water if the sauce becomes too thick. 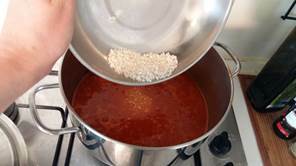 Then, add the rice in the boiling tomato sauce, and cook it for the time recommended on the pack (usually 15-18 minutes). 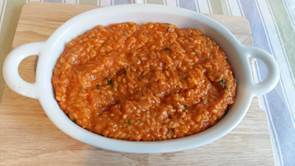 If you prefer to use our Country Basil Tomato Sauce simply, heat the sauce slowly in a saucepan and mix with the rice. Stir frequently, to avoid the rice to stick on the bottom of the pot. Add a glass of water if it becomes too dry. Turn off the cooker 2-3minutes in advance. 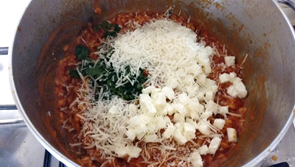 Then, add 2 thirds of the mozzarella cubes, 2 thirds of the grated parmesan, and a few parsley leaves, chopped by hand. Adjust of pepper and mix well. Pour the rice mixture into a baking tin. 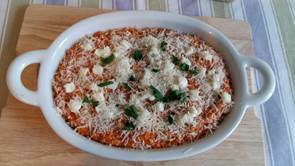 Sprinkle with the remaining mozzarella cubes and grated parmesan. Add also some chopped parsley. Bake in the oven at 220°C for around 15-20, until the crust, becomes golden.